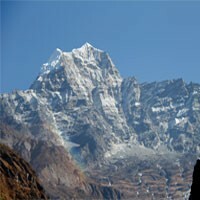 Kanchenjunga circuit trek itinerary is a long and an adventure trek itinerary in Nepal. The lodges during the Kanchenjunga circuit trek is very basic and basic food available. Kanchenjunga circuit is in eastern Nepal near India. 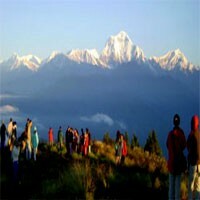 Around Kanchenjunga trek starts from Kathmandu with flying to Bhadrapur and drive to Taplejung or all drive. Not many people are following this long Kanchenjunga circuit trek itinerary. 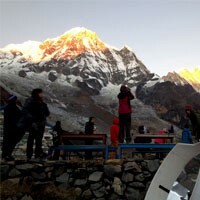 We make customized Kanchenjunga circuit trek itinerary and maximize as your time limit and interest. Day 04 : Trek from Taplejung to Lalikharka(2266m. )6 hrs. Day 05 : Trek from Lalikharka to Kandebhanjyang(2190m. )6 hrs. Day 06 : Trek from Kandebhanjyang to Phumphe danda(1795m. )6 hrs. Day 07 : Trek from Phumphe danda to Yamphudin(1692m. )6 hrs. Day 08 : Trek from Yamphudin to Lasiya bhanjyang(3415m. )7 hrs. Day 09 : Trek from Lasiya bhanjyang to Tseram(3868m. )6 hrs. Day 11 : Trek from Tseram to Ramche(4610m. )4-5 hrs. Day 12 : Hike to Kanchenjunga south base camp(4840m.) 3 hrs.and overnight at Ramche. Day 13 : Trek back from Ramche to Tseram(3868m. )3 hrs. Day 14 : Trek from Tsaram to Gunsa(3415m. )8-9 hrs.via miring la(4645m.) and sele la pass. Day 15 : Trek from Ghunsa to Khambachen(4145m. )5 hrs. Day 16 : Trek from Khambachen to Lhonak(4790m. )4 hrs. Day 17 : Trek from Lhonak to Pangpema, kanchenjunga north base camp(5140m. )4 hrs. Day 18 : Trek back from Pangpema to Khabachen(4145m. )5 hrs. Day 19 : Trek from Khambachen to Phale(3215m. )5 hrs. Day 20 : Trek from Phale to Sekathum(1650m. )7 hrs. Day 21 : Trek from Sekathum to Sinwa(1070m. )6 hrs. Day 22 : Trek from Sinwa to Taplejung(1826m. )4 hrs. Day 23 : Drive to Birtamod(10 hrs.) overnight at guesthouse. Day 24 : Half an hour drive to Chandragadhi and fly to Kathmandu.Farewell dinner with Frolic Adventure. Day 25 : Departure to the international airport for your final flight.